You know Chris... Chris has pulled a ton of Super Hits at Sports Cards Plus. It started with him and his two sons going to Sports Cards Plus, a.k.a. 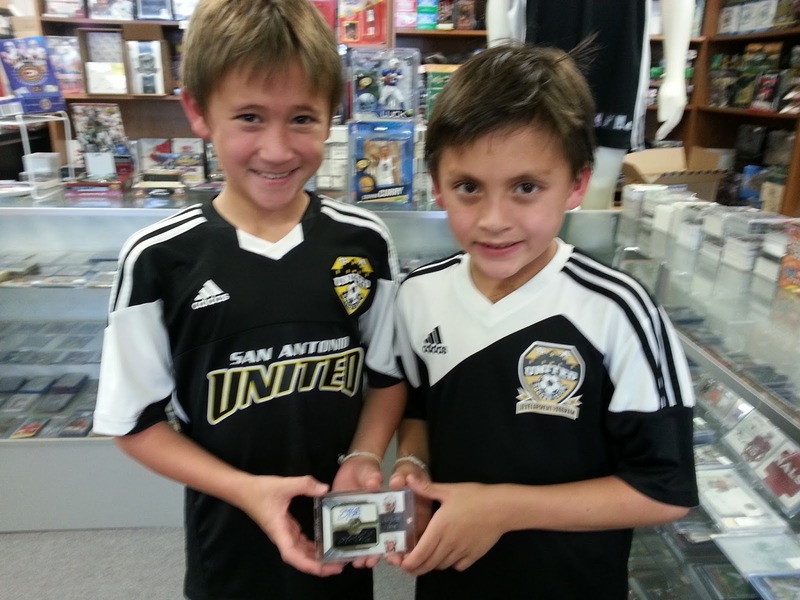 The Super Hit Factory for some 2014 Panini Prizm World Cup Soccer. 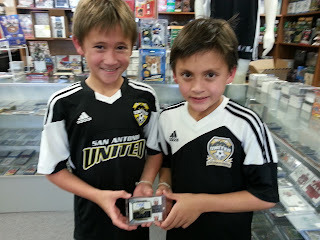 In just a few visits, they pulled several Messi and Ronaldo autographed prizms. 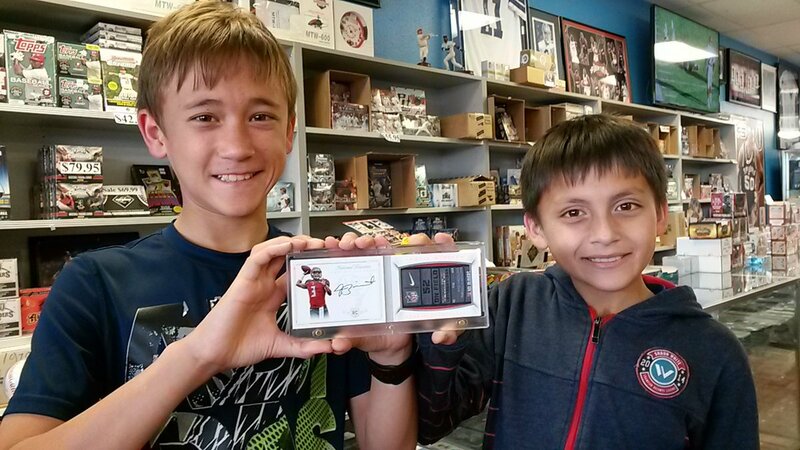 Being huge hockey fans, they tried Fleer Retro hockey and pulled a 1/1 Wayne Gretzky Buy-Back On-Card Autograph. Chris and his boys are probably most famous for their immensely good fortune with 2013-14 Panini Eminence Basketball. 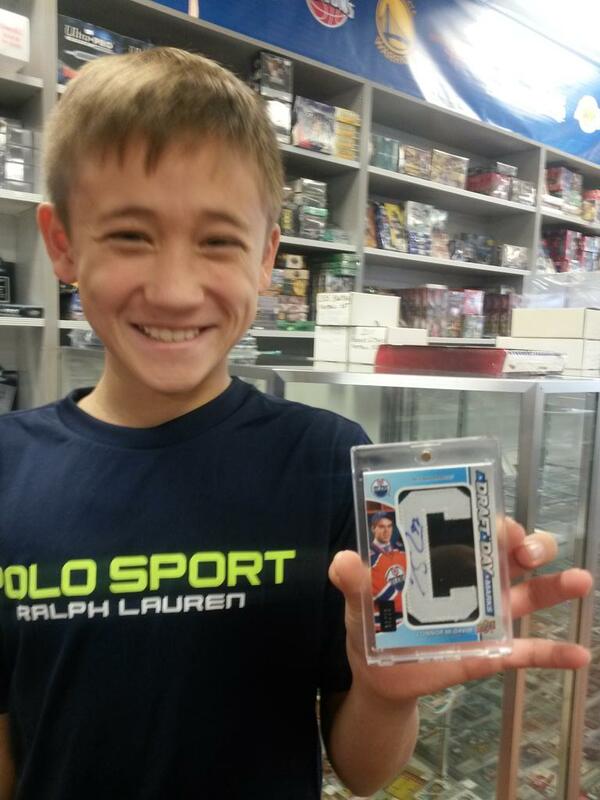 First they pulled an Andrew Wiggins Autographed Jersey Patch RC numbered 1/5. 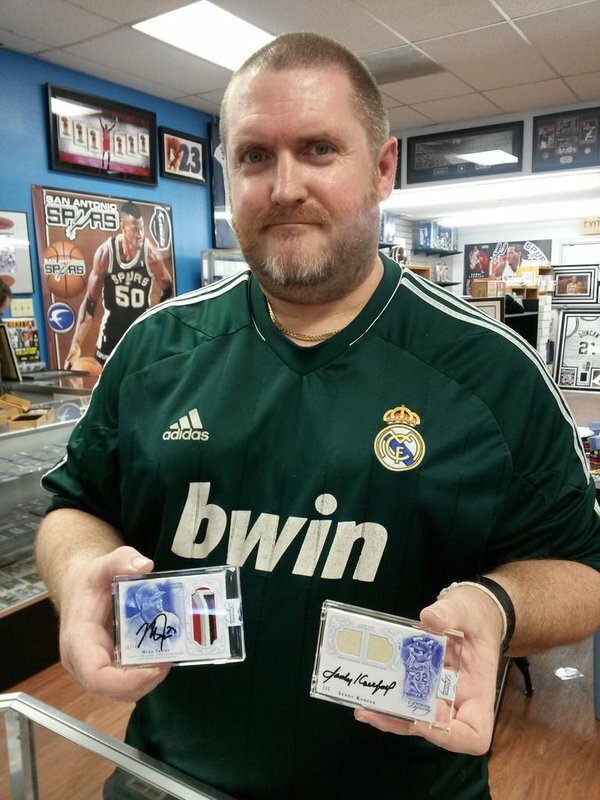 Chris decided to try a second and pulled the Andrew Wiggins 2014-15 Panini Eminence Autographed JUMBO Jersey Patch RC 1/1. 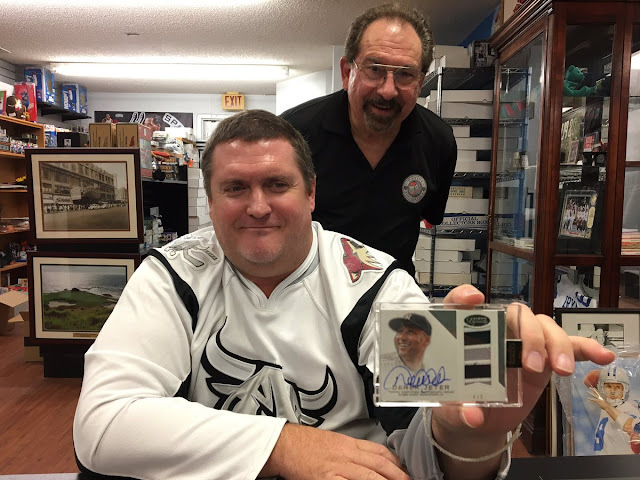 Chris knows at Sports Cards Plus you can pick your box from the BEST CASES in The Hobby at The LOWEST Price in The Galaxy. 2016 National Treasury Football are just $659.95 at Sports Cards Plus, so Chris decided to give it a try. 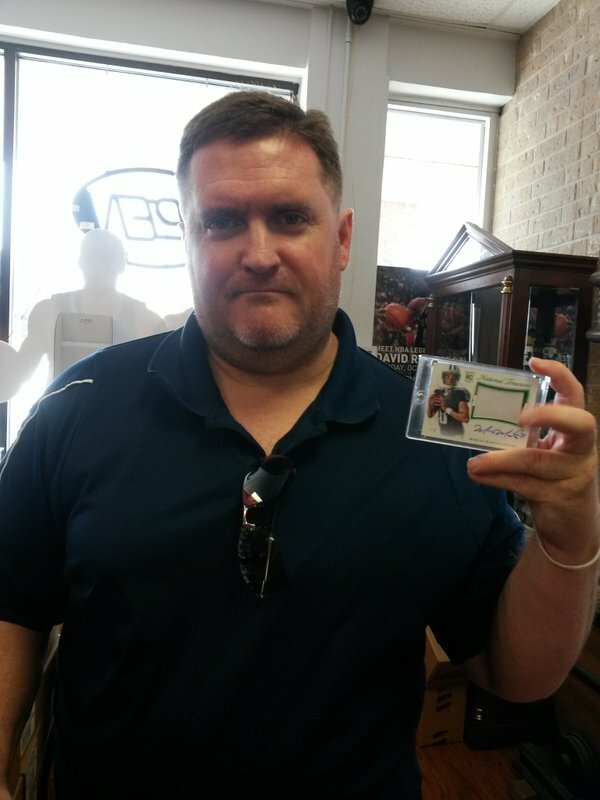 Chris pulled the above Ezekiel Elliott Rookie Materials Signatures Autographed RPS Silver Parallel #d/25. This card has a sweet 4-Break Jersey Patch. 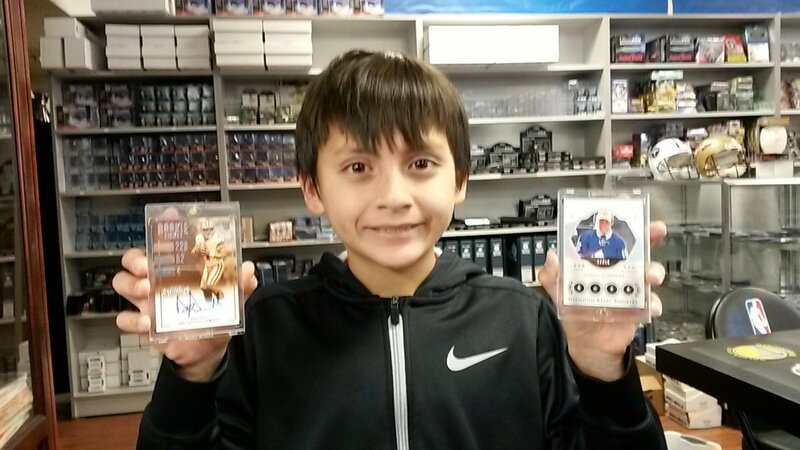 Pictured to the left are of few of his other hits from 2016 National Treasures Football. Don't worry. 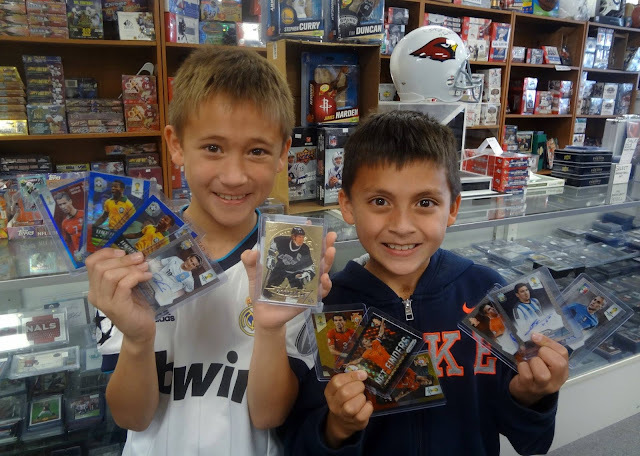 We have plenty more National Treasures Super Hits waiting for you. Don't be the guy who says, "That could have been my picture." Go to Sports Cards Plus TODAY and be a part of Sports Collecting History.